There are so many ways that we appeal to our customers, and it all starts with offering you a comprehensive dealership experience here at Sandy Sansing Dealerships. You get all your bases covered from the moment you walk in and have us to help you every step of your journey as you own your vehicle. We provide you with many standout new Chevrolet, Nissan, Ford, Mazda, BMW, MINI, Chrysler, Dodge, Jeep, RAM and Toyota models, while you can also find a quality selection of used cars, as well. No matter what, you’re going to find something that you want to drive off in. Along with that, we help you find a way to pay for your new or used ride with car loan and Chevrolet, Nissan, Ford, Mazda, BMW, MINI, Chrysler, Dodge, Jeep, RAM and Toyota lease options, and work with you the entire time to find the best plan possible. But, we also provide more than selling or leasing a vehicle to you. All car owners can take advantage of our onsite car service and maintenance department. Our team is highly-trained, and use the latest technology, tools, equipment and Chevrolet, Nissan, Ford, Mazda, BMW, MINI, Chrysler, Dodge, Jeep, RAM and Toyota parts when we work on your vehicle, to give you a standout experience, and a long lasting ride that is properly cared for. 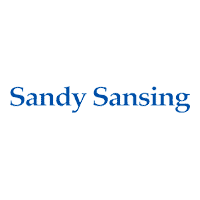 Throughout it all, you can count on Sandy Sansing Dealerships to give you the experience you desire. If you’re interested in taking a closer look at any of the vehicles we have here in our showroom, you can stop in and check them out. We’re located at 186 W Airport Blvd Pensacola, Florida, and a short drive away from Milton, Fort Walton Beach, Crestview, and Mobile, and look forward to seeing you!